This CD contains sheet music for virtually the complete works of Guiliani and Sor along with works by J.S. Bach and Paganini. 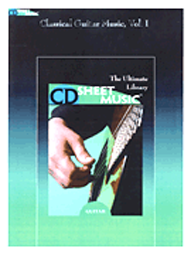 Over 1600 pages of classical music for guitar.